Tic studio located on the top floor or a reconverted building for creative workspaces, in the city of Vienna's 7th district, Neubau and a few steps from the famous Spittelberg. 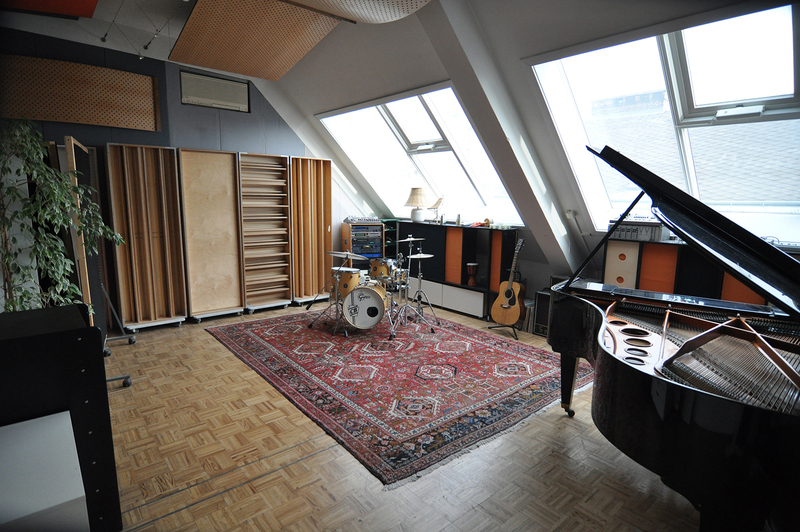 The original studio was built in 1989 and hosted countless recordings of the glorious Austro-Euro Pop era. The existing recording area, which was rebuilt and renovated in late 2016, is divided into three large main rooms plus an extra recording booth. The whole area is flooded with natural daylight from huge windows at the top floor of the old building, which has been converted into creative office spaces. Two busy state-of-the-art post-production suites also make up part of the 500m2 Tic Music complex and two film studios occupy the same building too, just two floors down. You will find a marvelous arsenal of gear at Tic, many of the classic everyday use preamps, Eq's and compressors, plus a selection of boutique modern processors. and a 128 input Euphonix CS2 console. The microphone collection is rich and spanning from classic vintage models to modern "worktools", satifsying any needs. A Bösendorfer grand piano is resident in the luminous front recording room, as well as a strong selection of other instruments and guitar amps. The studio areas are divided in one large control room, one main large front recording space, a drum room and a large vocal/amp booth. The spaces are well connected with high-quality Mogami cables, to provide the maximum flexibility for live recordings or solo/writing projects. A kitchen and lounge is available for everyday commodities. Vast selection of very good food is also available via delivery from the several places in the city neighbourhood. The former Tic Music, before the November 2016 reopening, hosted several important acts like Kruder & Dorfmeister, Stephan Maass, the Divas musical, Lena Conquest. Recent bands and clients include Don Grusin, Martin Klein, Russell Morgan, Global Rockstar/1in360, Atlas, SheLoom, 5th Projekt, Apache Darling, Black Sirens Wendepunkt, Julia Siedl, Bamdad Xosh, Maddes, Soft Plastic, Serge Falck, Zoë, IK Multimedia.